It would be a positive step for Europe to become connected with Iceland by a subsea electric cable. Compared to other countries in Europe, Iceland has low electricity generation costs. In addition to the attractive electricity price, the Icelandic hydro- and geothermal resources offer very reliable and stable generation. With this in mind, it is interesting that Iceland’s next door neighbours are electricity markets where the electricity prices are among the highest in Europe. Here we are referring to Ireland and the United Kingdom (UK). What is also important, is the fact that UK and Ireland are much closer to Iceland than for example Denmark, Holland (the Netherlands) or Germany. It is obvious that a subsea electric cable between Iceland and the European mainland would be substantially more expensive than to UK or to Ireland. There fore there are strong arguments for Iceland to consider Ireland or the UK as the best financially feasible options for such a connection. The two graphs (at left and below) show the electricity prices in 2013 in selected European countries, in USA and in Japan. The blue portion of the bars is the cost of electricity including transmission cost. The white bars show the price of the electricity when all the relevant taxes have been added (such as VAT and environmental taxes). The first graph (chart 5.3.1) shows the electricity price to industries while the second graph (chart 5.5.1 below) is the price to households (domestic prices), The average price of electricity (excluding tax) to industries in the UK in 2013 was close to 8 pence pr. kWh in 80 GBP/MWh. And the price to households in the UK in 2013 was close to 15 pence pr. kWh (150 GBP/MWh). In Ireland the prices were substantyally higher. In 2013, wholesale electricity prices in the UK were close to 45% of the total price. Thus, the average wholesale electricity cost for industries in the UK in 2013 was close to 35 GBP/MWh, and for households the cost was close to 65 GBP/MWh. This means that the wholesale price of electricity to industries in the UK in 2013 was being close to equivalent of 55 USD/MWh. And the wholesale price to households was close to 100 USD/MWh. According to Platts, the average wholesale electricity price in the UK in 2013 was close to 45 GBP/MWh, which is more than 70 USD/MWh. 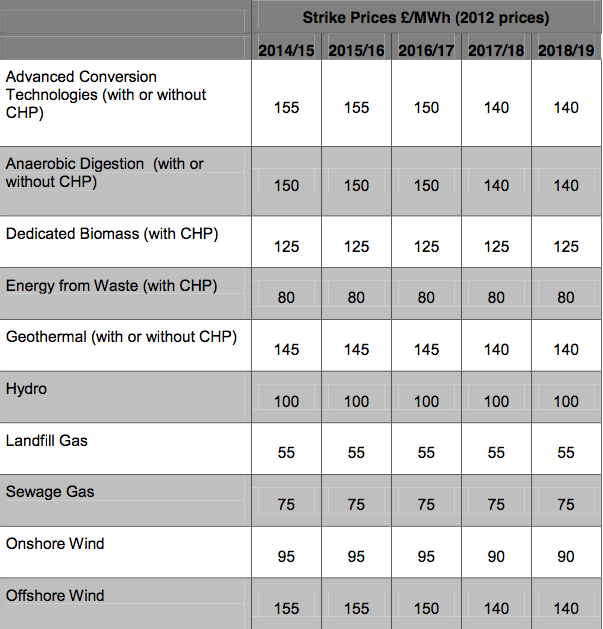 In Ireland the average wholesale electricity price in 2013 was higher or close to being equivalent to 80 USD/MWh. For comparison, in Iceland about 80% of all electricity produced is sold to aluminum smelters and other energy intensive industries, at a price close to 25 USD/MWh. If Iceland could sell electricity to UK, the revenues pr. every sold unit of electricity could be close to triple the current price in Iceland. Of course there would be a high transmission cost via subsea cable; probably close 35-40 USD/MWh. Still, the added profits would be substantial – if the electricity would be sold to UK or Ireland at 70-80 USD/MWh . At the same time, the UK or Ireland would get access to reliable renewable energy. Will the UK be interested in Icelandic CfD’s? At first glance, one might consider Ireland more interesting market for Icelandic electricity than the UK. It is indeed so that the price of electricity in Ireland would probably justify a submarine cable between Iceland and Ireland. However, the energy policy of the UK makes the UK more attractive for Icelandic electricity suppliers. 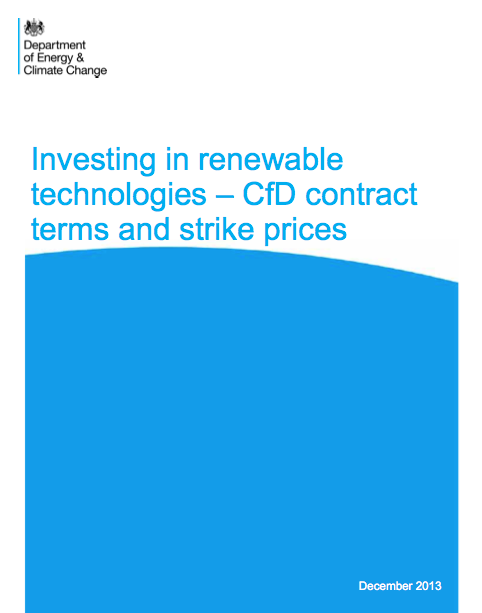 The energy policy of the British government involves ensuring new energy projects, by securing a minimum price for the electricity from new generating projects, in special contracts called Contracts for Difference; CfD’s. The minimum electricity price in such contracts (called strike price) is quite high. For electricity from geothermal and hydro power sources the strike prices are equivalent to 155-220 USD/MWh. It is also interesting that the strike price for electricity from new offshore wind farms is equivalent to 220-240 USD/MWh. It is likely that the UK could negotiate with Iceland for a strike price that would be substantially lower, thus saving Uk’s taxpayers money. 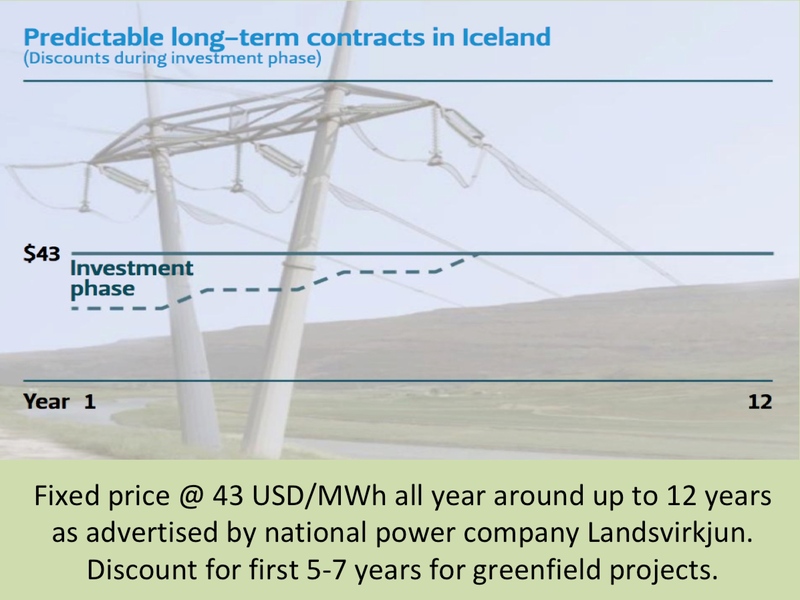 What the exact price would be would be decided in negotiations between Iceland and the UK, but it could be somewhere between 155-240 USD/MWh. This option should be interesting to both Iceland and the United Kingdom.